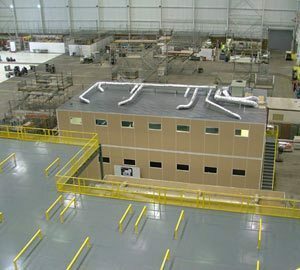 Vision towers and more—Mezzanine-Built mezzanine systems from Panel Built, Inc. provide a clear view of plant work areas and convert wasted vertical space into productive work environments. 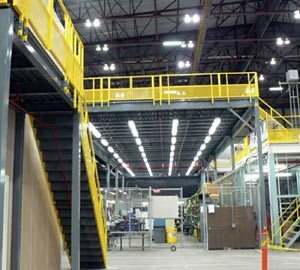 Mezzanine-Built powder coated steel mezzanines are built to your specification—custom sizes, heights, spans, decking materials, landings and stair systems. Heavy-duty and long-lasting, Panel Built provides the safest, lowest-maintenance, and most productive 2-story metal structures available today.